The covers have come off the inaugural Larry Perkins Trophy which will be presented to the round winner of the Coates Hire Melbourne 400 at Albert Park next weekend. 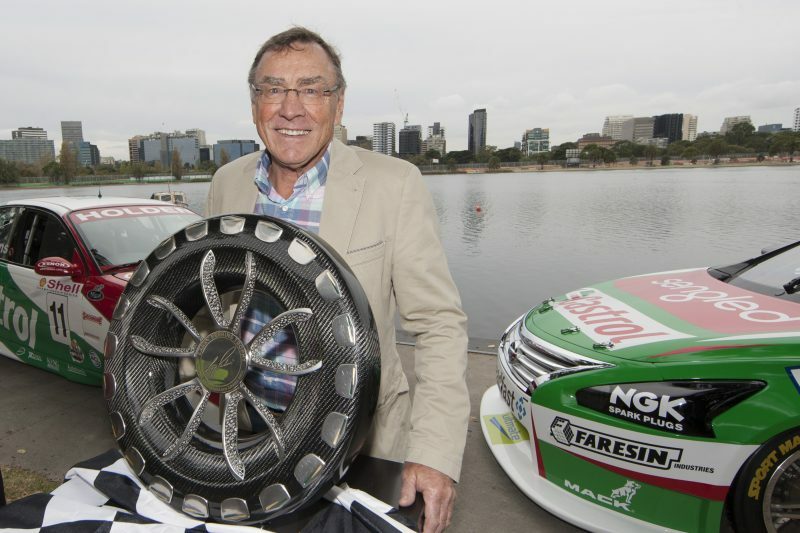 A brand new trophy to coincide with Supercars’ first championship round at the Formula 1 Australian Grand Prix has been created and named in honour of six-time Bathurst 1000 winner and former F1 driver Larry Perkins. The silverware was created by RMIT Engineering student Adrien Fasel-Murphy together with Senior Lecturer Scott Mayson, using technologies such as 3D printing and virtual reality. Supercars will contest four races over three days next week with the field set to tackle two 13 lap sprint races and two twilight 25 lap pit stop races. Perkins, who made 11 F1 starts during his career, was on hand to unveil the trophy alongside creators Fasel-Murphy and Mayson, Nissan Motorsport Supercars driver Rick Kelly and Australian Grand Prix Corporation CEO Andrew Westacott. “It’s truly an honour to have the perpetual Coates Hire Supercars Melbourne 400 trophy with my name on it, and it is made even greater now upon having seen the trophy itself – a remarkable creation,” said Perkins. Three-time series winner Craig Lowndes feels the award is apt for the maiden championship round at the Australian Grand Prix. “I think to have the trophy named after Larry is fantastic, he is a legend of the sport,” Lowndes told Speedcafe.com. The Australian Grand Prix will be held from March 22-25.